Ukraine is a country in economic and social free fall after the coup that overthrew its government in 2014. Nuclear waste dumps in stable countries have many serious problems. A nuclear dump in Ukraine will be a disaster. Outside Kiev, they have begun to build a repository for used nuclear fuel, in order to abandon the apparently expensive Russian waste services. The authorities assure that it does not carry a threat to people, but local residents and environmentalists are seriously concerned. Not far from Kiev, in the Chernobyl exclusion zone, the construction of a centralized storage of used nuclear fuel has begun. The construction site is located between the former villages of Staraya Krasniţa, Buryakivka, Chistogalovka and Stechanka of the Kiev region. As reported in the Ministry of Energy, the cost of construction will cost Ukraine $ 1.4 billion. The facility will be a platform which will build concrete containers of nuclear waste. The full construction is planned to be erected within 16.5 years in 15 stages. “Financing will be carried out by the operator of Ukraine’s NPPs – Energoatom company, without attracting funds from the state budget, while more than 80% of the amount ($ 1.17 billion) will be spent on technological equipment,” the agency noted. So far, in Ukraine there was only one such storage facility – at Zaporizhzhya NPP. To date, used fuel at Ukrainian NPPs was shipped for processing to Russia. For this, depending on the volume, Ukraine annually paid $ 150-200 million. Therefore, in order to save money, the authorities decided to build their own nuclear burial ground 100 km from the capital – with an American company. As the head of the Supervisory Board of the Institute of Energy Strategies, Yuri Korolchuk, stated – in the current political situation the construction looks favourable, but the main question is how effectively the project will be implemented. “Despite the fact that the construction company will be working with the American company Holtec, its own specialists will not be working in Ukraine. Instead, they will involve other contractors, maybe even Ukrainian ones, so how much the project will be environmentally safe and technically effective remains a mystery,” says Korolchuk. It is perfectly possible that Inhofe, Booker, Crapo et. al. are simply lazy, stupid and ignorant in pushing a bill (S. 2795) claiming that US nuclear reactors are “operating safely and securely”. Maybe they’ve just observed that the US NRC does exactly what the nuclear industry wants anyway so should indeed have funding cut. It is actually pretty funny that all the workers at US NRC that have sold their soul to the nuclear devil have their jobs on the cutting block anyway. So, the proposal to cut funding to the US NRC is actually pretty funny. Watch and learn before you sell your soul to the devil. However, many NRC workers will just go home to their countries of origin, leaving the children of the American Revolution and others who have no other home stuck with their nuclear crimes. But, why not just totally shut down the US NRC? Clean Air Task Force”, but has promoted the use of nuclear power in the Canadian tar sands industry. The electrical defects for all but one US nuclear power station are so serious that 7 brave NRC electrical engineers put themselves at risk by demanding something be done immediately. They were ignored. These brave seven were led by an American from India who loves America. And, maybe he’s just smart enough to understand that the world environment is interconnected too. This claim about the safety and security of US Nuclear Power Stations and push for nuclear deregulation is oddly coming from a Senator (Inhofe) from Oklahoma where there are no operating nuclear power stations, though Oklahoma is the location of the infamous Kerr-McGee site where Karen Silkwood worked. And, funding to Inhofe related to Southern Co. with their Vogtle Nuclear Reactors, both old and under construction?https://www.opensecrets.org/politicians/contrib.php?type=C&cid=N00005582&newMem=N&cycle=2016 More overt, of course, is Inhofe’s military industrial complex funding. 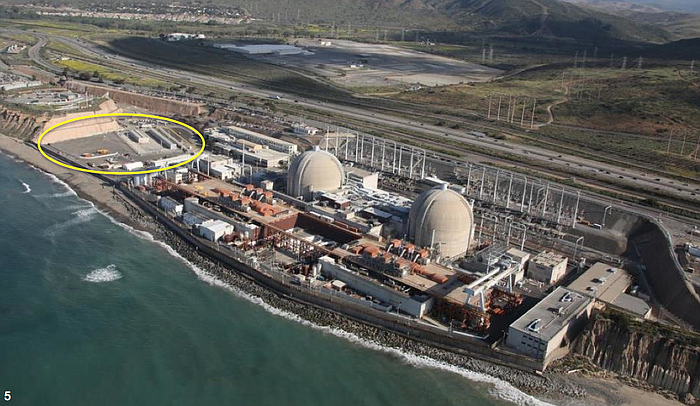 This photo from San Onofre Safety shows where Southern California Edison wants to store nuclear waste. It’s circled in yellow. The company making the canisters has already been in trouble. By the end of 2011 Holtec International had to close its office in Kiev as it had come under harsh criticism worldwide. It is widely believed that the company has lost licenses in some countries because of the poor quality of its containers resulting in radiation leaks. Westinghouse and Holtec are members of the U.S.-Ukraine Business Council (USUBC). What could go wrong????? This is only located adjacent to millions of Californians and on the ocean. Southern California Edison plans to make another bad decision by unsafely storing over 1600 metric tons of highly radioactive nuclear waste. Below is the proposed location for the Holtec HI-STORM UMAX thin “underground” spent fuel canister system at San Onofre. Half under ground, and close to the water table and about 100 feet from the ocean. Edison admits the Sea Wall hasn’t been maintained so can’t be counted on for protection. This plan doesn’t meet Coastal Act requirements, but Coastal Commission staff think there are no other options, but there are. The California Coastal Commission granted a Coastal permit for the San Onofre Holtec nuclear waste storage facility with “Special Conditions” that are unlikely or impossible to meet. Special Conditions require a storage system that can be inspected, repaired, maintained, monitored, and transported without cracks – but only after 20 years. The Coastal Commission recognizes the Holtec system does not currently meet these requirements, but have been convinced by Edison and others there are no other reasonable options and someday these problems will all be solved. However, there is insufficient evidence to support that and evidence to the contrary. • Coastal requirements for nuclear waste storage should be met now, not deferred 20 years. repaired, maintained or adequately monitored. Cracked canisters cannot be transported. The Coastal Commission should require a system that does not have these flaws and not accept promises of future solutions. • Edison can meet Coastal requirements with thick casks. For example, Areva sells thick (over 10” thick) metal casks to the U.S. market, and to most of the rest of the world for storage and transport. The Areva TN‐32 and TN‐40 are licensed by the NRC. The TN‐24 used at Fukushima survived the massive earthquake and tsunami. Spent fuel must cool in the pools for a few years, so choosing proven thick storage casks will not significantly delay removing fuel from pools. • Canisters cannot be repaired. Holtec President says these canisters cannot be repaired. • Partially cracked canisters cannot be transported. NRC Regulation 10 CFR § 71.85. • Canisters may crack. The NRC states it takes about 16 years for a crack to go through the wall of thin stainless steel canisters and canisters are vulnerable to cracking from marine environments. 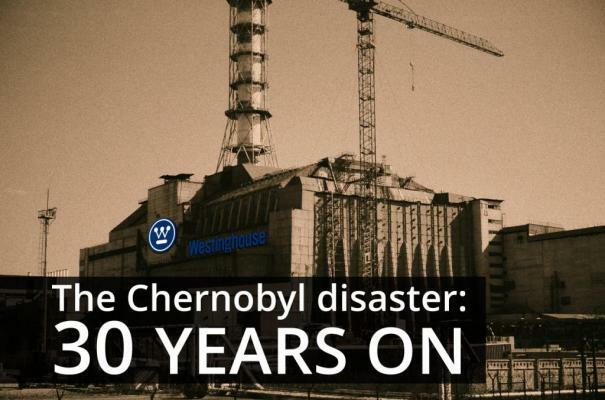 A similar component at the Koeberg nuclear plant failed in 17 years with numerous cracks. A Diablo Canyon canister has all the conditions for cracking in a 2‐year old canister. • No funds are available to relocate this system. Once the system is installed, there are no funds to rebuild and move it to a different site, so it is not reasonable to expect it will be relocated (even onsite). Edison’s $1.3 billion Spent Fuel Management Plan to the California Public Utilities Commission assumes nothing will go wrong and they will not need to pay to move the fuel on‐site or elsewhere. Edison’ plan assumes the Dept. of Energy will start picking up the fuel in 2024, which Edison admitted to the CPUC is unlikely. • Vaporware is not a solution. The Coastal Commission should not base decisions on “vaporware” – promises of solutions that do not exist with no guarantee they will exist in the future. Even State of California procurement rules do not allow procurement of “vaporware”. • Edison plans to destroy the spent fuel pools. Pools are the only method to replace canisters. The Commission should add a special condition to not destroy pools unless a better plan is in place. conditions” for aging management and related issues should be addressed now.